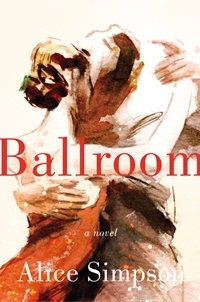 A beautiful debut, Ballroom follows a group of strangers, united by a desire to escape their complicated lives (if only for a few hours each week) at a New York City dance hall that’s about to close its doors for good. The Ballroom used to be a place to see and be seen, but the years have taken their toll, and by the end of the 1990s this Manhattan dance hall, just off Union Square, is a husk of its former self. A small crowd of loyal patrons still makes its way to the worn parquet floor every Sunday evening: although they each have their private reasons for returning again and again to the Ballroom, they are united by a shared desire to seek solace from reality, if only for a few hours, within its walls—and in the magic of dance. Nearly forty and still single, Sarah Dreyfus is desperate for love and sure she’ll find it with debonair Gabriel Katz, who seduces the women he meets at the Ballroom to distract himself from his crumbling marriage. Lonely bachelor Joseph believes that his yearning for a wife and family will be fulfilled—if he can only get Sarah to notice him and see that he is in love with her. Obsessed with his building superintendent’s beautiful daughter, Maria Rodriguez, elderly dance instructor Harry Korn is convinced that together they will find the happiness that has eluded him throughout his life. And Maria, who—thanks in part to Harry’s instruction and encouragement—is one of the stars of Sunday nights at the Ballroom along with her partner, Angel Morez, has a dream of her own that her brokenhearted father refuses to accept or understand. In this deeply felt debut, Alice Simpson deftly unfolds the lives of these men and women, entwining their stories into a profoundly human narrative about our instinc-tual longing to love and to be loved. As the rhythms of the Ballroom ebb and flow through her characters’ hearts, their fates weave together both on and off the dance floor in touching, unexpected ways. Alice Simpson is an accomplished visual artist who has a profound passion for dance. Ballroom is her first novel. She lives in South Pasadena, California. Connect with her through her website or Facebook.